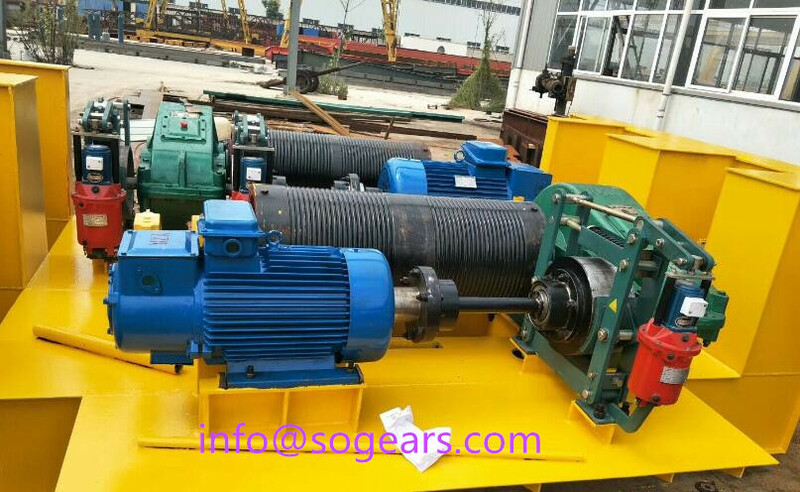 The hardened gear reducer for cranes includes QY series cylindrical helical gearing arrangement, QYS type (three-point) and QYD type (base type) two series of Hard-tooth single-stage cylindrical gearbox for cranes. It has three types of three-stage, four-stage and three-four-stage combination. The crane reducer is welded by steel plate, the box is annealed and destressed, the gear is made of high quality low carbon alloy steel, the tooth surface is treated by carburizing and quenching, and Grinding processing, product quality and reliable performance. 4) It can be operated in both forward and reverse directions. High carrying capacity. The gear adopts carburizing, quenching and grinding, and the bearing capacity is greatly improved compared with the soft tooth surface and the medium hard tooth surface cylindrical high duty reduction gearbox of the tempering hobbing. 2) Small size and light weight. Compared with soft tooth surface and medium hard tooth surface input 1000 rpm transmission speed reducer The same load capacity reducer can reduce 2-4 equivalent frame numbers. 3) High efficiency, low noise and low vibration. The grinding gear has improved the accuracy level, and the gear has been trimmed. The overall efficiency of each gear is 0.98, and the vibration and noise are significantly reduced. 4) Adopt multi-level number to reduce single-stage speed ratio. The center distance can be opened to reduce the height of the parallel shaft induction geared motor and meet the requirements of various cranes; the maximum nominal transmission ratio of the promotion gearbox with single phase motor reaches 400, which meets the requirements of slow cranes. 5) Three-point reducer can be installed in vertical, horizontal and even deflection angles, which is convenient and flexible. 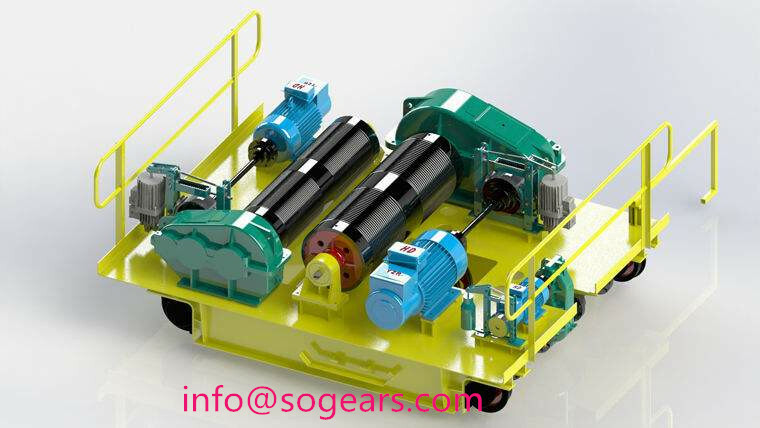 6) This series of spur reduction gears with brushless motor has three or four stages of combination (ie, three-stage assembly type, four-stage transmission ratio) to provide the premise for the generalization of slow speed cranes. The power 91.5 kw reduction gear reducer is an essential component of transmission products such as screw lifts, and its stability plays an important role in the entire transmission system. 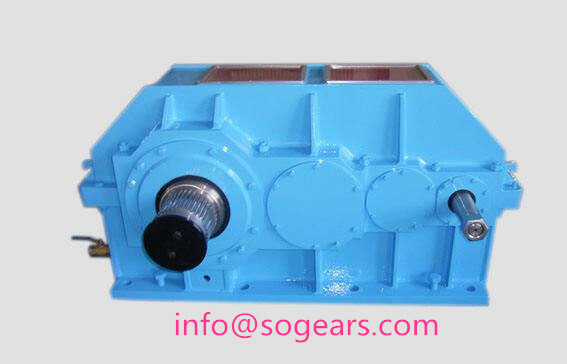 However, if the crane reduction gearbox professional manufacturer that fails to meet the required hardness is purchased during the purchase process, or if the cycle is too long or overloaded, the wear of the hardened gear will be accelerated, thereby affecting the normal operation of the transmission system.